Can't afford a base Boxster? There's always the used car lot. 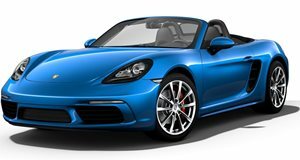 Despite the ongoing expansion of the Porsche lineup beyond the typical sports car (which it does brilliantly), a sub-Boxster model would actually reduce the brand’s status and prestige. Want proof? CEO of Porsche Cars North America, Detlev von Platen, stated that the brand’s "entry level model is our pre-owned program." Anything less is just a Mazda MX-5 (and there’s absolutely nothing wrong with that wonderful car). 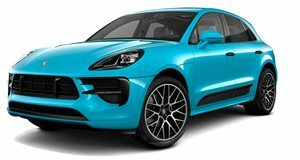 And get this: Porsche is now offering short-term leases for the Boxster and Cayman as sort of a bridge for those anxious to get a Macan. It has a waiting list of more than six months and has an average transaction price of $65k for the S and $83k for the Turbo. If the Boxster/Cayman are being used as stopgaps, then how in the hell could a potential 718 survive? It can’t. So if you want a less expensive Porsche, buy one second-hand from a dealer. Still can't afford that? No worries, there's the aforementioned MX-5, and the Scion FR-S/Subaru BRZ twins, all of which cost roughly half the price of the base Boxster.